Salesforce launch with the vision of regenerate & retain the Customer Relationship Management (CRM). Where we have a data of our existing and future customers. For as much as we have changed the way enterprise software is delivered and used, changing the industry forever. 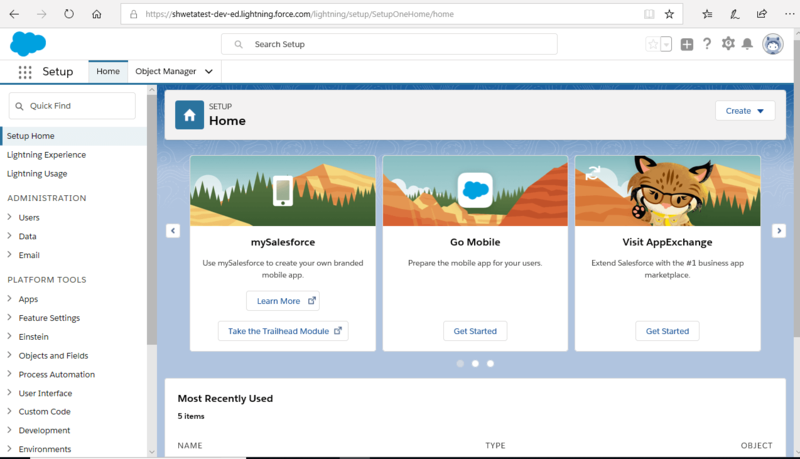 All salesforce products run perfectly in the cloud so there is no expensive setup costs, no maintenance and our employees can work from any device with an internet connection. Customer relationship management is a software that stores customer contact information like Name, Address, Phone number, as well as keeps tracks of customer activity like website visits, phone calls, email and more. We make CRM easy to use for a small businesses and large scale enterprises. This approach has helped to make Sales Cloud the World’s top most CRM system. Sales & Marketing is not the end of CRM . Our platform enables us to manage all interactions with our customers and prospects, So that our organization can grow and succeed. That’s why we call it the customer Success Platform. · Strongly & actively tracks and manages customers information. · Associate your entire team from any device. · Intelligently captures customers Emails. · Simplifies repetitive tasks so you can concentrate on leads. · Delivers instant insights and recommendations. · Extends and customizes as your business grows. The idea behind cloud computing is similar, the user can simply use storage, computing power, or specially crafted development environments, without having to worry how these work internally. Cloud computing is usually Internet-based computing. The cloud is a symbol for the Internet based on how the internet is described in computer network diagrams which means it is an abstraction hiding the complex infrastructure of the internet. It is a style of computing in which IT-related capabilities are provided as a service, allowing users to access technology-enabled services from the Internet in the cloud without knowledge of, or control over the technologies behind these servers. Cloud computing, often referred to as simply “The Cloud“ is the delivery of on demand computing resources everything from application to Data center’s over the internet on a pay-for-use-basis. As we shown laptop, tablet, smartphones. Enterprise Software describes a collection of computer programs with common business applications tools for modelling how the entire organization works & development tools for building applications unique to the organization. The software is expected to solve an enterprise wide problems, rather than a departmental problem. Enterprise level software aims to improve the enterprise’s productivity and efficiency by providing business logic support functionality. Enterprise applications are about the display, manipulation, and storage of large amounts of often complex data and the support or automation of business processes with that data. · Present-day every company is in the app business. · Apps are where our customers meet our brand ,where our employees connect with each other, and where business processes are up-to-date, automated and mobilized across the enterprise. 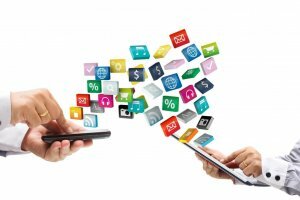 · App cloud is our one-stop shop for building , running managing and optimizing apps using the same technology and expertise that leads to our success. Platform as a services provides a cloud-based environment with every thing required to support the complete life cycle of building and delivering web-based (cloud) applications. Without cost and complication of buying and managing the basic hardware, software, material and hosting. 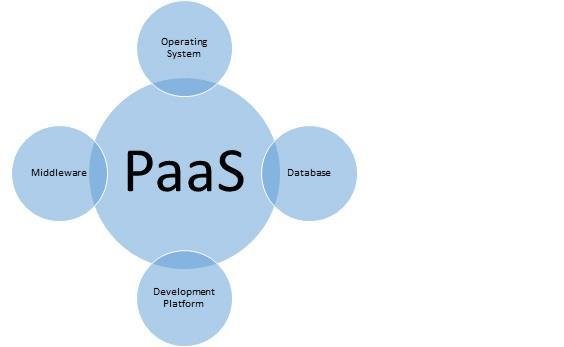 (PaaS) is offering that provides users a cloud environment in which they can develop, manage, and deliver applications. In addition to storage and other computing resources, users are able to use a suite of prebuilt tools to develop, customize and test their own applications. · Develop applications and get to market faster. · Deploy new web applications to the cloud in minutes. · Reduce complexity with middleware as a service. Cloud based applications or software as a service run on remote computers in the cloud that are purchased and operated by others and that are purchased and operated by others and that connect to users computers via the internet and usually a web browser. 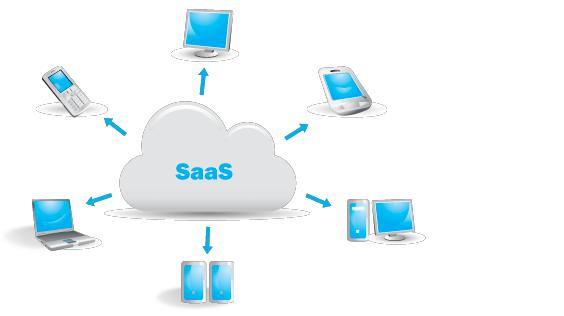 SaaS is offering that provides users with access to a merchant’s cloud-based software. Users do not install applications on their local devices. Rather, the applications payload on a remote cloud network accessed through the web or an API (Application Programming Interface). Through the application, users can store and analyze data and participate on projects. · We can sign up and rapidly start using innovative business apps. · Apps & Data are accessible from any connected computer. · No data is lost if your computer breaks, as data in cloud. · This service is able to dynamically range to usage needs. Infrastructure as a service provides companies with computing assets including these Servers, networking Storage & data center space on a pay per use basis. IaaS is offering in which a merchant provides users access to computing resources such as servers, storage, and networking. Organizations use their own platforms and applications within a service provider’s infrastructure. · No need to invest in your own hardware. · Infrastructure scales on demand to support lively assignment. · Flexible, innovative services available on demand. 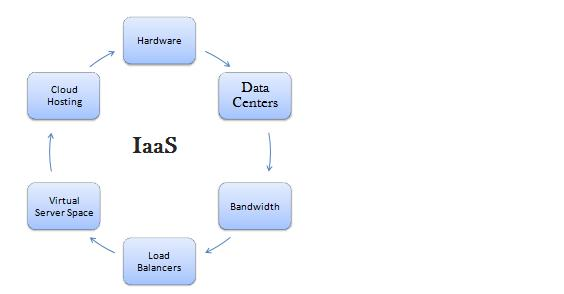 IaaS Examples : Deals with virtual Machines, Storage (Hard Disks), Servers, Networks, Load Balancers etc.